NAB 2018, Las Vegas, USA – April 9, 2018 – Blackmagic Design announced the all new Blackmagic Pocket Cinema Camera 4K, a handheld digital film camera with full 4/3 HDR sensor, dual native ISO with up to 25600 ISO for incredible low light performance as well as 13 stops of dynamic range. It also eliminates expensive external recorders, as it features a unique new USB-C Expansion Port, which allows customers to record using the internal SD/UHS-II and CFast recorders or directly to the same external disks they will use for editing and color correction. The Blackmagic Pocket Cinema Camera 4K will be available from Blackmagic Design resellers worldwide later this year for only US$1,295. ► Full size 4/3 sized sensor with native 4096 x 2160 resolution sized sensor. ► Compatible with extremely high quality Micro Four Thirds lenses. ► Super wide 13 stops of dynamic range allows capture for high end feature film look. ► Up to 25600 ISO for incredible low light performance. ► Carbon fiber polycarbonate composite body which makes it lightweight, portable and durable. ► Multi function grip for quick access to recording start/stop, still photos, ISO, shutter, aperture, white balance, power and more. ► Built in SD, UHS-II and CFast card recorders. ► USB-C expansion port allows longer duration recording directly to an external SSD or flash disk. ► Standard open file formats compatible with popular NLE software such as 10-bit ProRes and 12 bit RAW. ► Features full size HDMI output for monitoring with camera status graphic overlay. ► Professional mini XLR input with 48 volts of phantom power for connecting to pro microphones. ► 3.5mm audio jack, headphone jack, and locking DC 12 volt power connection. ► Built in 5” LCD touchscreen allows accurate focus when shooting 4K. ► LCD supports on screen overlays including status, histogram, focus peaking, and transport controls. ► Records 4K images at up to 60 frames per second and windowed HD at up to 120 frames per second. ► 3D LUTs can be applied for both monitoring and recording. ► Blackmagic OS as used in URSA Mini and URSA Broadcast cameras. ► 4th generation Blackmagic color science. ► Supports remote camera control via Bluetooth. ► Includes full license for DaVinci Resolve Studio editing, color, visual effects and audio post production. ► HD Video Standards: 1080p23.98, 1080p24, 1080p25, 1080p29.97, 1080p30, 1080p50, 1080p59.94, 1080p60. ► Ultra HD Video Standards: 2160p23.98, 2160p24, 2160p25, 2160p29.97, 2160p30, 2160p50, 2160p59.94, 2160p60. ► 4K DCI Standards: 4KDCIp23.98, 4KDCIp24, 4KDCIp25, 4KDCIp29.97, 4KDCIp30, 4KDCIp50, 4KDCIp59.94, 4KDCIp60. 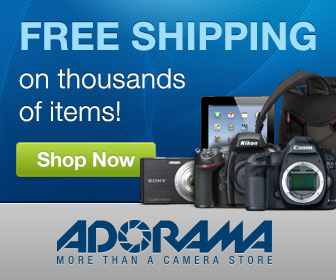 At the moment camera is available for pre-order at Adorama.